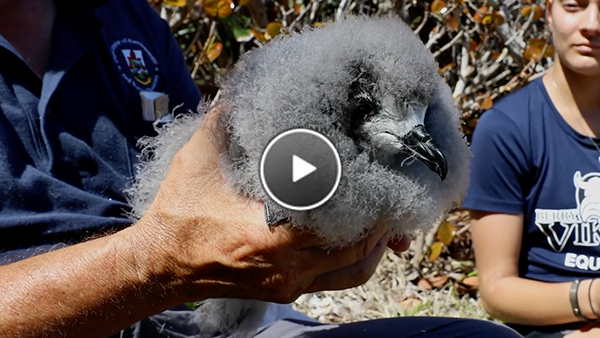 Join Bermuda Petrel expert Jeremy Madeiros as he fastens a leg band on “Sunny” the cahow chick during his 10-week health check. Less than a week remains until this endangered chick is expected to fledge over the Atlantic Ocean. 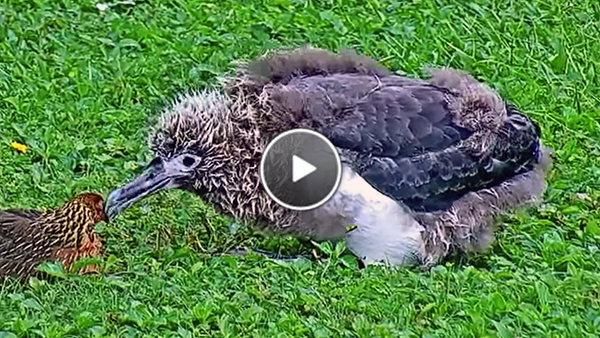 Watch Laysan Albatross chick “Kiamanu” attempt to preen a chicken in a curious encounter on the island of Kauai, Hawaii. 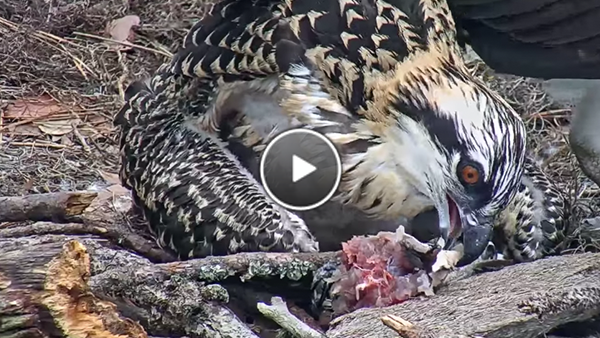 At nearly 40 days old, the Osprey chick in the Savannah nest has started using its sharply hooked bill to self-feed. 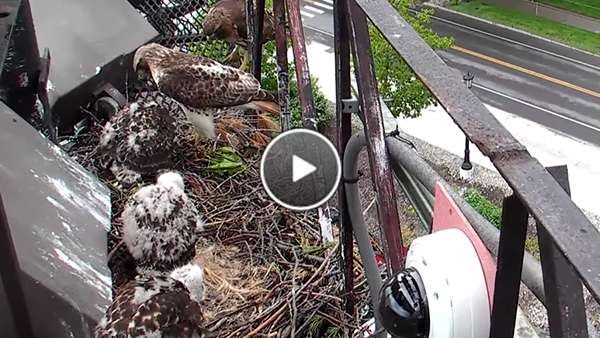 After Arthur delivers a frog in swooping fashion, Big Red arrives to feed the snack to her chicks on the Red-tailed Hawk cam.